I met Maya, an English Mastiff, whilst shopping in Menton this morning. 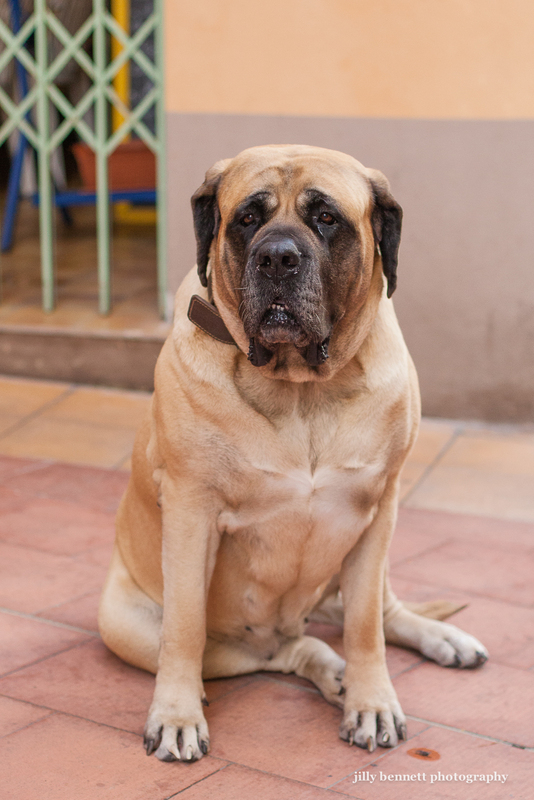 Maya has appeared on this blog before - 4 or so years ago - but as she is the only English Mastiff in Menton I couldn't resist photographing that lovely slobby face once more. She's now 7 years old. Click link to see Maya in 2008. Such a kind face. 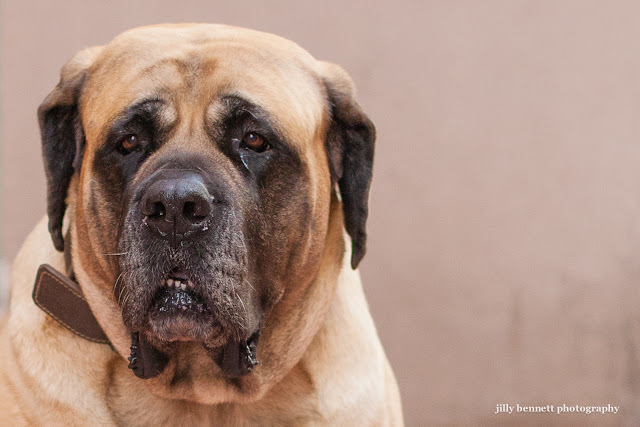 I had a Mastiff mix once, great companion. 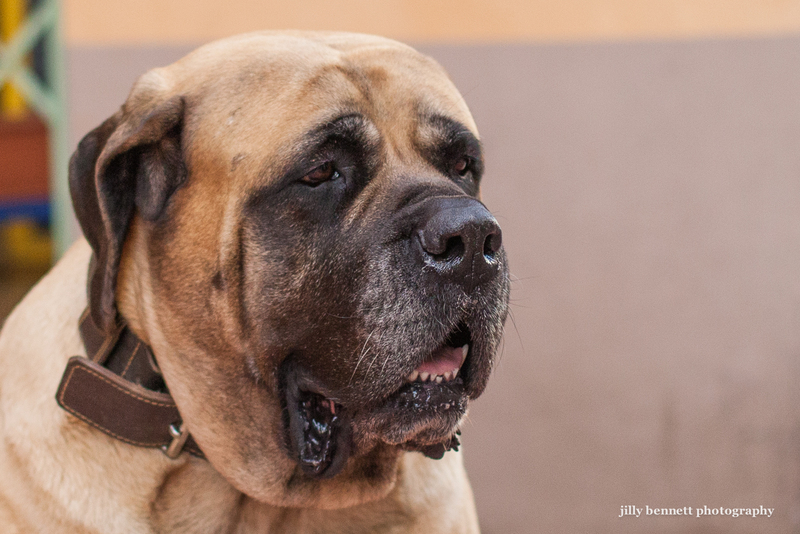 for years my brother-in-law had pairs of bull mastiffs. they were gentle and sweet but soooooooo big.